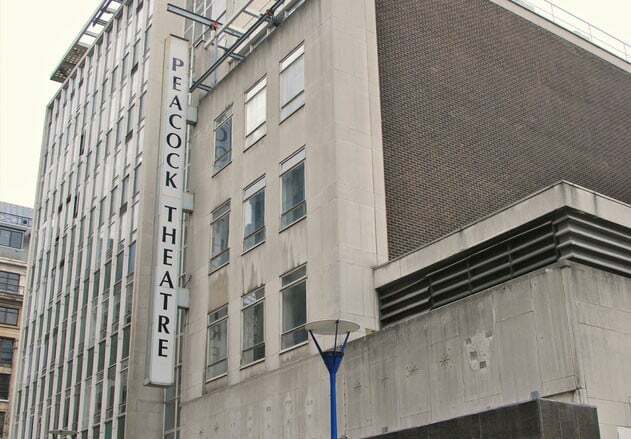 A theatre has stood on the site of the Peacock since the 17th Century. The Gibbon’s Tennis Court hosted a production of Othello in 1660, which featured the first (identified) woman on a London stage. No other records of plays remain and the building was destroyed in a fire in 1809. A new theatre was commissioned by Oscar Hammerstein I (Oscar Hammerstein II’s grandfather) and opened in 1911 as the London Opera House. After a string of operatic productions (including a production of The Queen of Spades that featured the first Japanese singer to play Madame Butterfly), low audience numbers led to theatre to be sold to Oswald Stoll in 1916, who renamed it the Stoll Theatre. The theatre hosted cinema screenings, variety acts, and theatrical productions until its closure and demolition in 1957. The present theatre, known then as The Royalty Theatre, was built in 1960, where it showed films until 1966. With the exception of Oh! Calcutta! 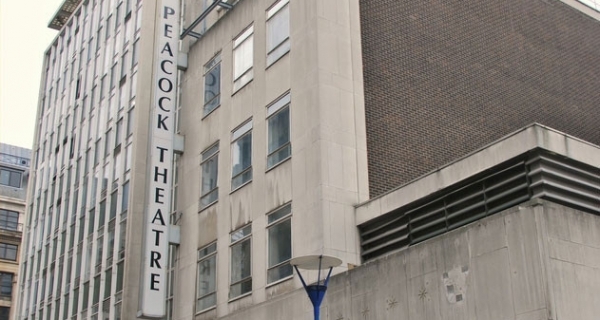 few productions found success and the theatre became a TV studio for This is Your Life before its purchase by the London School of Economics (who renamed it the Peacock Theatre). 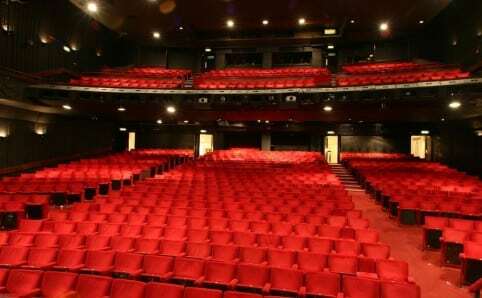 The Sadler’s Wells Company moved to the theatre in 1996, and after the new Sadler’s Wells Theatre opened in 1998, the theatre become their dedicated dance venue. The venue is currently shared between these dance productions and LSE. The theatre is believed by some to be haunted by a dolphin, known as ‘Flipper’. Wheelchair platform lifts and spaces available. There is no adapted toilet. Are there facilities for the hard-of-hearing? There is an infrared system working throughout the auditorium with both loop and conventional headsets. Are guide dogs and/or hearing dogs permitted? Access dogs are allowed inside the auditorium. Please contact the theatre directly for further information.